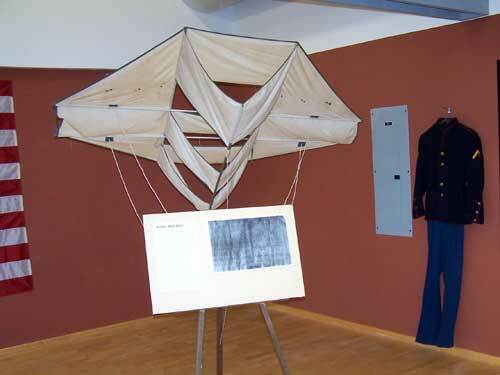 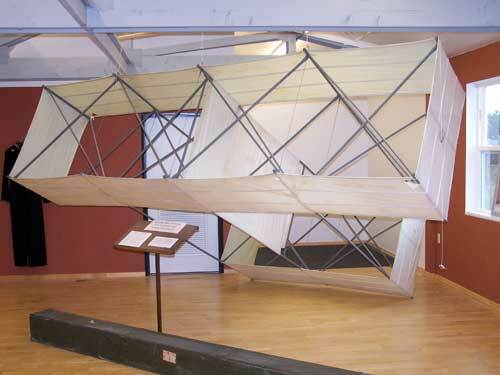 Kites of World War II Shows how the military dealt with communication before cordless phones, radar and Internet. 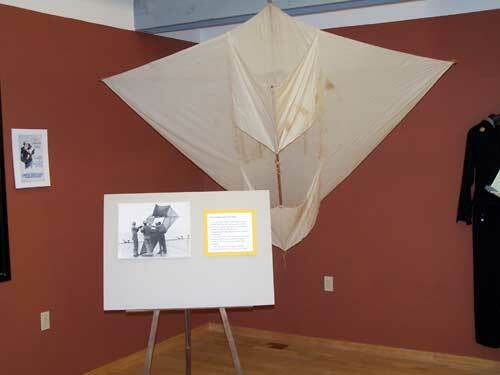 From the 13’ X 10’ barrage kite to the first two line maneuverable target kites decorated with enemy air planes, each of the kites is an original from the 1940s. 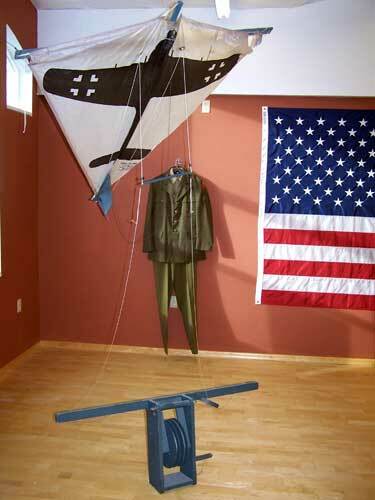 Uniforms on loan from Ilwaco Heritage and the Luethe Family plus World War II posters add color.